I wish to take this opportunity to join other delegates in congratulating you on your election as the President of the 3rd Review Conference and the Bureau. I assure you the fullest cooperation of my delegation, as you steer this conference towards a successful outcome. Today, 17 years since the adoption of the POA, though progress has been made in many areas, yet the buildup and spread of small arms and light weapons continue to fuel conflicts and cause untold suffering in many regions of the world. As such, more than ever, preventing, combating and eradicating the illicit trade in small arms and light weapons is a matter which requires concerted efforts by all nations. Additionally, under Target 4 of SDG 16, the world has resolved to significantly reduce illicit arms flows by 2030. In this context, the convening of the 3rd Review Conference to review and take stock, is most timely. Sri Lanka attaches great importance to the prevention, combating and eradication of the illicit trade in small arms and light weapons. As a country which has experienced, first hand, the destruction that can be caused by the illicit trade in such weapons, we have taken efforts at both the national and international levels, to address the challenges posed by the illicit trade in small arms and light weapons. It was as a manifestation of this commitment that Sri Lanka presided over the First Review Conference held in 2006. As most of you are aware, for a period of nearly 30 years, the people of Sri Lanka were subject to the lethal repercussions of terrorist groups being able to easily acquire small arms and light weapons. It is no secret that the banned terrorist outfit, the LTTE, in Sri Lanka had made ample use of the easy access, globally, to small arms and light weapons, to procure and use such weapons for their deadly activities. The Government of Sri Lanka has, since the end of the conflict, uncovered the extensive arsenal which the terrorists had acquired over the years, as well as their transnational networks which facilitated the illicit transfer of small arms and light weapons. The vast stockpile of weapons which we have recovered from these groups during and following the end of the conflict, bears testimony to the ease with which terrorists could procure such weapons globally and reiterates the urgent need to eliminate this illicit trade, through enhanced international cooperation. After the adoption of the POA in 2001, new initiatives were undertaken in Sri Lanka to address related issues in close collaboration with the United Nations and the donor community. 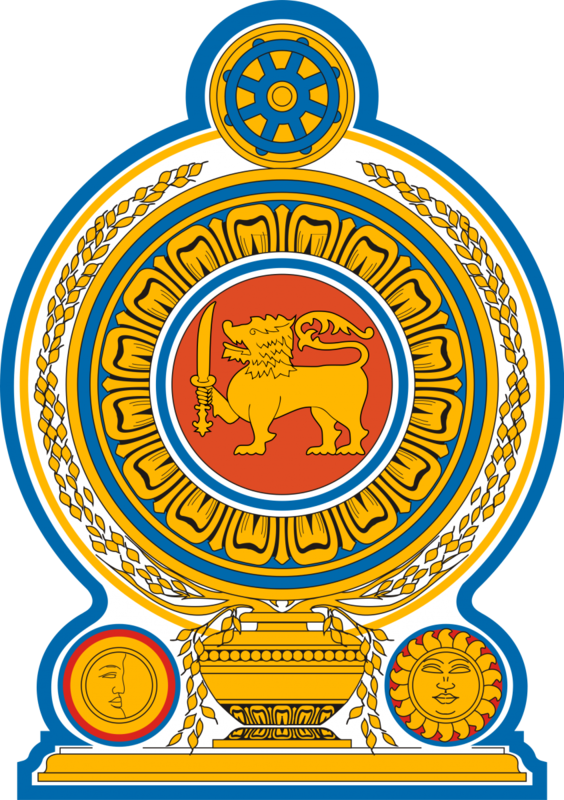 In 2004, Sri Lanka established, a National Commission Against the Proliferation of Illicit Small Arms (NCAPISA). This Commission monitors and deals with the proliferation of such arms in Sri Lanka and related matters. The Commission has taken steps to make a comprehensive assessment of the problem in the country, and to establish a national database on the civilian use of small arms and light weapons. Sri Lanka’s national legislation that deals with SALW is based under the Firearms Ordinance No.33 of 1916 , a pre-independence enactment and subsequent amendments to it, such as Firearms [Amendment] Act No 22 of 1996, which came into force on 1 January 1997. Furthermore, the Explosives Act and the Offensive Weapons Act also provide legislation as appropriate, in dealing with SALW. The national legislation of Sri Lanka deals with a number of aspects such as importation, manufacture, repair, sale, transfer and possession of ‘guns’. In Sri Lanka, the importation, manufacture, repair, sale, transfer, possession and use of SALW can only take place in accordance with the licenses and permits provided for that purpose by relevant authorities. Even though these laws exist, Sri Lanka does not manufacture small arms and light weapons. Our major concern is the illicit flow of these arms into the country. Sri Lanka has benefitted from international assistance, including capacity building of government officials and civil society actors as well as technical and financial assistance. International cooperation and assistance for national capacity building and financial assistance plays an important role in the full implementation of the POA and Sri Lanka believes that developing countries need to be provided, upon their request, with assistance for capacity building in managing this issue. While being in agreement in principle with international measures to address the issue of proliferation of small arms and light weapons, we believe that it is important to ensure that any measures taken by the UN to curb proliferation of small arms and light weapons do not affect the rights of States to legally procure and hold weapons for its self-defense and for guaranteeing the safety of its citizens. It is our view that international measures to curb proliferation should particularly focus on combating the illegal trade in small arms and light weapons. In this regard, countries that produce such weapons have a greater responsibility to monitor and control their disbursement. Sri Lanka believes that this Review Conference provides an opportune platform for countries to build on the action being taken to prevent the proliferation of illicit small arms and light weapons. Urgent and meaningful action on this critical issue is essential to ensure international and regional peace and security.